Unless you are OK with tossing off your budget on pricey individuals and their pricier strategies, social media isn’t a platform you can afford to ignore. You aren’t likely to fall short on options that social media tosses at you to promote your products and brand as a whole, and you can find the biggest of brands reciting homilies on how it has helped them achieve the level of success they make a boast of today. That said, everyone has their own take on different platforms on offer. While some like to channelize most of their resources on Facebook, others are keener on Twitter or LinkedIn or for that matter, Google Plus. But, let’s be honest, despite being a Google product, Google Plus hasn’t got the kind of credit it commands from the brand community. Even after 2.75 years of its existence, it remains underrated and undervalued as a social media marketing platform. And, is it justified? Darn no! So, just to make sure you aren’t left oblivious to the various leverages Google+ can power you with, here is a list to convince you of the efficacy of this highly resourceful platform. And no, I am not reciting any of those homilies; I present to you some incredibly convincing GPlus facts by the means of stats (something that works for me as well, as they are more likely to intrigue you to the page). Here is the stat in its bare bones. For all those naysayers claiming GPlus is deprived of the kind of numbers that its peers 9 Facebook and Twitter) boast of, this number should dump all those myths to a pigeonhole. When yours is a website which contains a lot of images, this is a stat you would want to tuck in. Go ahead and create some interesting video around your brand, and upload it on your Google+ page. If it is intriguing, there is every chance it may go viral. So, those who share photos, upload videos and post statuses, blending those numbers gives you a figure of 540 million users per month. Isn’t that number worth of promoting your offerings to. Going back to the number war between Facebook and Google Plus, how’s that number for some consideration? For those who want to know what audience they are pitching to, this is one priceless stat. If you have your clients in US, or you are targeting the market there, this is one stat you can’t afford to ignore. Be rest assured, as GooglePlus is headed north in its popularity, the numbers are only going to grow further, higher. Figuring in Google searches more often than not is a target to be achieved. And Google Plus takes you closer. This tells you, people indeed are brand conscious – make your brand to be one worthy of someone following it loyally. 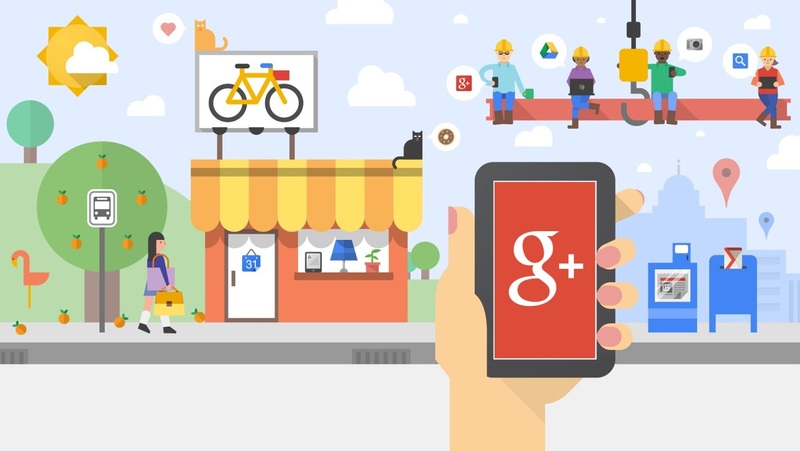 If the above stats are anything to go by, there is every reason to believe Google Plus will give your business the velvet touch it has been vying for. Author bio – Mike Swan is a blogger by mood and web designer by profession. He gives ideas to convert Phoptoshop to wordpress theme and loves to share his thoughts on social media. You can log in to his web (Markupcloud Ltd) for various other conversion services.